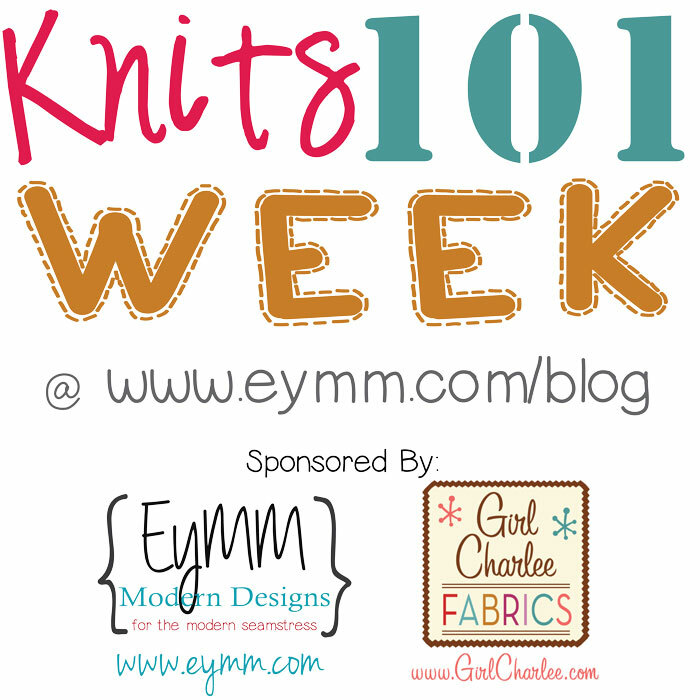 Knits 101 Week: Content & Common Blends of Knit Fabrics – Everything Your Mama Made & More! There are a large variety of natural and synthetic fibers used in fabric manufacturing. There are also some bio-based fabrics that are not synthetic fiber, but not natural fiber. They are made from natural raw materials and broken down and processed in a way that creates usable fiber for manufacturing fabric. You will often find blends of from all 3 general types in many of the knit fabrics available for sale. Natural fibers from cotton and bamboo plants (cellulose fibers) as well as sheered wool (protein fibers) are spun into thread/yarn that is knit into fabric. They are soft, biodegradable, and absorb moisture well. They have a small amount of stretch and little recovery, but they feel nice against the skin allowing it to breath well. While 100% cottons are common, you rarely find 100% bamboo or wool knits. Natural fibers burn, creating ash when doing a burn test. Bamboo has a slightly sweeter smell when doing a burn test than cotton. 100% natural fiber fabrics like 100% cotton are good for those with sensitive skin, or for items that don’t need much stretch or recovery. 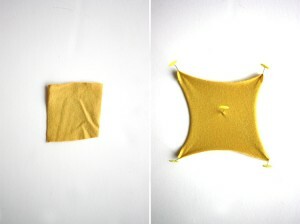 Bio-based fabrics are soft, smooth, and breathe well. They have beautiful drape, generally shrink less and aren’t as prone to pilling because there is less friction on the fabric due to the silky smoothness. They hold dyes well and tend not to fade as much as natural fibers. Rayons (including Acetate and Tencel) are made from regenerated cellulose fibers from a variety of plants and tree pulps. Viscose is the same but uses a wet-spin in the manufacturing process; it is also very commonly made with bamboo pulp. Modal specifically uses cellulose from beech trees. Beech trees are very eco-friendly because they are soil enhancers that grow/breed naturally without the need of artificial irrigation. Viscose and Modal are both considered part of the rayon family. While rayons use natural, renewable materials like beech trees and bamboo, the manufacturing process is not the most environmentally friendly. Synthetics are fibers made from a mix of natural and petroleum based polymers. Polyester is often used along with or in place of cotton because it is more affordable and has wrinkle resistance, high color retention, and dries quickly because it doesn’t hold moisture . You will find 100% polyester fabrics and it is also often blended. Acrylic is similar to polyester, though you will rarely find 100% acrylic fabric. It is often used in sweater knits and has more of a wool-like texture. Nylon (Polymide is the name brand) was developed in the 30’s as a silk substitute. It is used commonly today in knits made for swim and athletic wear. Synthetic fabrics are much lighter than natural/bio-based fabrics, but one downside is that they are prone to pilling due to the friction caused when they rub against themselves or other fabrics. Spandex is an elastine (elastic) synthetic that is blended with other fabrics to create more stretch and recovery. Lycra© is a specific brand name of spandex, so you will often see one or the other, but they both do the same thing. In today’s knit fabrics, just a small percentage of spandex/Lycra© goes a long way and makes those wonderful natural and bio-based fabrics have amazing stretch, recovery, and durability. The One Little Minute Blog has a great post comparing many different blends of knits including pictures. Now that we talked a bit about the different types of fabric, lets talk about blends. Blended fabrics use a mixture of two or more fibers spun together and then manufactured into fabric (both knits and wovens). When you look at the label on a bolt of fabric, a listing in an online fabric store, or even the tag on your clothing, you will see the names of fibers and percentages. This is telling you what percentage of fibers make up the fabric. So for example if you have a cotton t-shirt that says 50%/50% Cotton Polyester that means that 50% of the fibers are cotton and 50% are polyester. Sometimes on bolts it won’t have the % symbol and will just say 95/5 Cotton Lycra©, this means that it is 95% cotton and 5% Lycra© and is the most common Lycra© blend. You will find that, with synthetic fabrics, 5% is enough Lycra© to give fabric good stretch and recovery while still maintaining the feel and durability of the main fabric fiber. This blend is often in everything from t-shirts, underwear, leggings, headbands, and more. It makes great knit binding and it gives jersey fabrics more stretch. You will also find synthetic fabrics with 10% or more Lycra©. These fabrics have a rather shiny appearance that will remind you of the bike shorts from the 80’s. 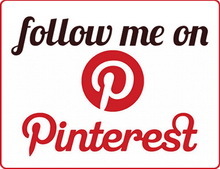 They are great for dance wear, performance wear, and active wear. Nylon/Lycra© with 20% or more Lycra© is a common blend for swim wear. It has lots of stretch and recovery and performs well even with constant exposure to water. It drys quickly and doesn’t fade like natural fibers. I will be honest, the best way is to learn the difference in how they feel to the touch. If you like a piece of clothing you have, read the label! The more you touch/feel/read, the easier you will be able to tell the difference. And, while the same blends can and do feel different at times, this will give you a better idea of what to expect when you order online. A lot of the feel and use will also depend on the weight of the fabric, which will be covered later in this series. When using knit fabrics, I ALWAYS recommend pre-washing as they will/should be washed in the future. Why? Well, for one, they often have a lot of chemicals on them. Another big reason is that, while being manufactured, the fibers are stretched and pulled a lot and, because of this, the first time they are washed they often relax and shrink back, especially if they are made from natural fibers. I have seen 1 yard cuts of cotton knits shrink up to 7″ (making 36″ to 29″). While that is more extreme, it is not uncommon for natural fiber knits to shrink 1-2″ per yard. This is why so many store brought clothes shrink in the first wash. They do pre-wash the fabric, but it is stretched out again in the manufacturing process. 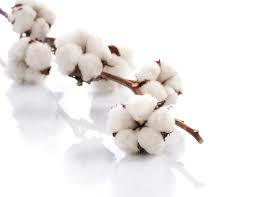 Natural fibers like cotton and bamboo can be pre-washed on cold, warm, or hot, depending on the color. They can also be dried on low, medium, or high. I personally prefer to pre-wash them on cold or warm and dry on low unless it is for cloth diapers, then I always wash on hot (which is how the final product will be washed). Protein-based fibers like wool tend to shrink significantly and permanently with washing. There are washable wools out there, but to be on the safe side I prefer to wash all wool and wool blends on the ‘handwash/delicate’ setting or by hand and then air dry flat. Most bio-based rayons and synthetics do not shrink and can be washed at a variety of temps. That being said, repeated hot washings and dryings will wear down synthetic fabric faster, as well as causing pilling. Synthetic fibers like polyester, spandex, and nylon will get hard over time if dried on hot all the time because it is essentially slowly melting the fabric. This is why polar fleece gets so rough with being dried in the dryer. One good option is to dry on low and NOT over dry. Synthetics don’t hold moisture and will dry quickly. Drying synthetic fabrics separately will dry them faster and use less electricity, plus it will also seriously cut back on static, which is generally caused from over drying. If you have space, hang drying is another great option that will keep your fabrics and clothing looking new much longer! Don’t forget to come back and check out the rest of the series! Thanks for such useful for info! I have a small clothing line where we do custom runs. Not big numbers but let’s say 20 – 30 units at a time. I’ve recently read elsewhere that you should dry your meterage flat after prewashing. I would imagine this applies to the knits with exceptional stretch that would droop and stretch out on the line but for others with less stretch I imagine that it would be fine? If it really is necessary to dry them flat, that poses a pretty serious space issue. What are your thoughts on this? Is it really necessary or an over precaution? Might it just be easier to work with a local dry cleaners if I need to preshrink more than 20m at a time? I would not hang them because they will stretch out. I also wouldn’t dry them flat because it’s not practical. If anything I would dry on low or air dry only in a dryer. I would also note that all fabrics have been prewashed/preshrunk.